Strong irrefutable evidence for genetic causes of obesity has been discovered and treatment possible in some cases. The following are the common gene disorders that can lead to obesity as well as what can be done, if you or your loved one suffers from any of these causes. 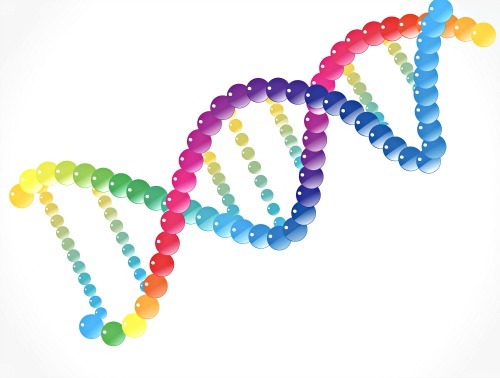 Your genes could be contributing to your obesity. You are twice more likely to inherit obesity gene from your parents, than you would inherit hypertension from them. They quoted previous studies or research, that scored the “heritability” of obesity to be 0.70, compared with the "heritability" of hypertension which was scored at 0.29. Over the last few years, at least 22 genes have been identified that plays a significant role in causing obesity. This helps to explain why some of us may eat or take in just a little amount of food and yet weigh more than that buddy of ours who gulps down double the amount of what you eat and looks enviably thin and athletic. So, is there an obesity gene? Certainly yes! We bring you the evidence in the following paragraphs. Why anyone who is obese can do a lot to overcome this condition, for some, obesity is just in their gene and they have to work even much more harder to put off the weight. 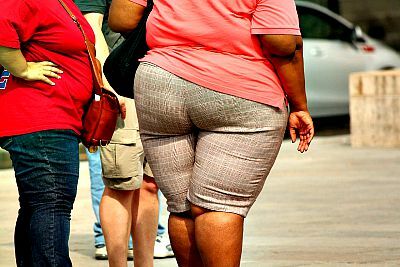 That obesity gene exists can be seen in differences between the races and their tendencies for obesity. African-Americans, Hispanic-Americans and Pima Indians as well as Pacific Islanders have been shown to have a disproportionately higher level of obesity than their Caucasian counterparts. This racial difference may be explainable by the difference in the inheritance pattern of obesity regulating genes. While environmental factors including diet does play a role, specific genes have been isolated that contributes to obesity. Such genes have been divided into two groups. Group 1: Single Gene Defects. Mutations of the Melanocortin-4 receptor (MC4R) which leads to up to 1 in 20 of obesity in Children. Both of these genes help in regulating our appetite, thus affecting how much we eat. Defect in any of the above genes leads to our wanting to eat and eat with little unconscious control, unless we consciously put a stop. Genes regulating the amount of fat deposited under our skin. This field of genetic causes of being overweight or obese is still being researched and as time goes on, more information on the role genetics play on our weight would become more evident. If you think that you or your loved one may be suffering with obesity gene arising from one of the genetic causes of obesity, there are things that can be done in a few of the cases. The first step is to make that diagnosis. These obesity gene defects causes early onset obesity in children. They can be tested for the genetic abnormalities as listed above. An injection of Leptin has been shown to help reverse the regulation of fat and appetite, leading to healthy weight loss. No treatment available for this obesity gene defect at this time. In kids born with Prader-Willi Syndrome, while there is no cure of the condition, injection of growth hormone helps in significant weight loss as well as growth in height. For all other causes, effective diet, behavioral changes, exercise, pills and or surgery remains the way forward. Do you think that your weight might be caused by your genes? We would really love to hear from you. Leave your comment below by using the comment box below.